It doesn't cost much, you can do it all your life, in any part of the world, at any time, with anyone or alone, and age doesn't matter. It is the fastest-growing outdoor activity in America. According to a survey by the U.S. Fish and Wildlife Service, over 50 million Americans participate in bird-watching. Birds in cages or any form of captivity don't count. Bird-watchers observe wild birds in their natural habitat. Bird-watching means learning to identify the birds and understanding their relationship to the environment. Birding is something you can do in your own back yard, in your local park, or anywhere you travel. Birding is the perfect vacation activity. It is effortless, but gets people outside and walking. It bonds the generations. Parents or grandparents can involve their children or grandchildren in nature, creating a love that will stay with them forever. It doesn't require much in the way of money or equipment. All that is needed is a pair of binoculars, a field guide, a hat, a pair of walking shoes, a little notebook to record sightings, and a love of nature. More and more travelers are making bird-watching an integral part of their travel plans, whether for the day, a week or longer. Trips can be made within a person's locality to learn about the local birds and their habitats; or to a specific area to see birds that live in a particular environment, such the Everglades of Florida or the rain forest of South America. Around the world, expert and novice birders gather at birding hot spots to celebrate spectacles of avian diversity and abundance. Timing travel to coincide with a bird festival provides the opportunity to flock with other birders. Festivals are growing in popularity because they offer birders the best of all worlds: unique birds and birding opportunities, guided tours, expert lectures, informative seminars and lots of fellowship, and they can be found in nearly every state and country. The American Birding Association lists festivals by month and state. Some are one-day events like the annual Lake Ontario Bird Festival at Yogi Bear Campground in Mexico, N.Y., in May. 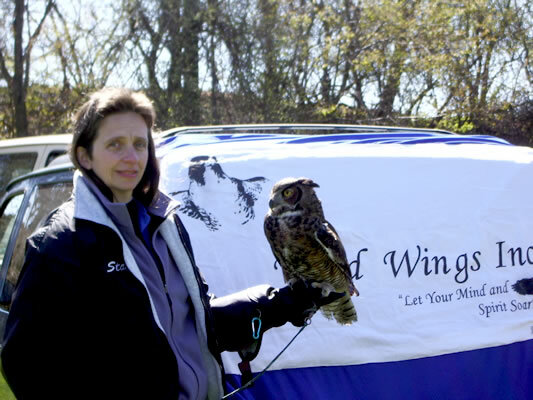 There are demonstrations, live rehabilitated birds, nature walks to several off-site locations, and special events for the children. Other festivals last several days such as May's Great Salt Lake Bird Festival in Farmington, Utah. Or dedicated bird enthusiasts can plan a once-in-lifetime vacation to a specific foreign location such as the BirdFest in Cairns, Australia, this year held Oct. 14 to 19. With 510 species of birds in the North Queensland area, it is a perfect setting for the program that consists of three days of lectures, films and exhibitions, all aimed at the ordinary bird-watcher keen to experience Australian birds. On the final two days, visitors have the opportunity to meet noted ornithologists who will host tours to the best birding spots on the Atherton Tablelands. Regardless of the length of the event, activities are similar; there are field trips, workshops, bird demonstrations, children's activities, displays, vendors, local artists and live entertainment. The dedicated birder need not wait for a special event. There are trips locally, nationally and internationally, where the observation of birds is the main objective. On the Osa Peninsula in Costa Rica, serious birders know that in the fall months neo-tropical migrants journey south from their North American breeding grounds. Species such as warblers, flycatchers, thrushes, orioles and tanagers are numerous during these months. A trip at this time will also provide sightings of trogans, ant birds, wood creepers, toucans and a vast population of Amazon parrots and scarlet macaws. The daily display of the scarlet macaws flying around the town of Puerto Jimenez is an amazing sight. Costa Rica is just one exotic destination where birders gather. Looking for an elusive bird to add to a list of sightings does not have to be the sole reason for travel. As a secondary benefit people can observe other wildlife and appreciate the cultural aspects of their destinations. South America is just one place where travelers can combine their love of birds with sightseeing. On a recent trip to southern Peru, mornings were spent watching the condors in the Colca Canyon, the world's deepest canyon, and afternoons enjoying the sites of Peru, including the Santa Catalina Convent in the beautiful White City of Arequipa. The understanding of birds leads to a better understanding of the local culture because birds and nature play an integral part in cultural development of most groups. One does not have to travel far to enjoy birding because most people live within driving distance of a bird festival or nature sanctuary. The Nature Conservancy Web site is broken down by states and then areas. In late spring, birders flock to Derby Hill, on the Eastern shore of Lake Ontario, to catch sight of raptors and song birds as they make their way along one of the world's greatest migratory flyways. On a hill overlooking the lake, more than 60,000 birds can be seen, including red-tailed hawks, red-shouldered hawks, and wide variety of other species including bald and golden eagles. International Migratory Bird Day in May is an annual event created by Partners in Flight, a coalition of federal and state agencies, bird clubs, non-governmental organizations, corporations and individuals, whose mission is to conserve migratory birds. Many localities worldwide plan special activities to achieve this mission by making the public aware of the factors that contribute to declines in bird populations. Stone Lakes National Wildlife Refuge in Elk Grove, Calif., is one of the nation's newest refuges. They have planned guided tours of the refuge so visitors can watch shore birds, raptors and water birds. There will be presentations featuring live birds of prey, a mountain lion and other wildlife species, and live wildlife presentations. There is sure to be a festival or special event that fits the bill and bird tourism makes good sense. Besides providing an occasion for watching birds, it is also an opportunity to help local businesses through tourist dollars that, in turn, help promote bird and habitat conservation. The benefits are far-reaching. 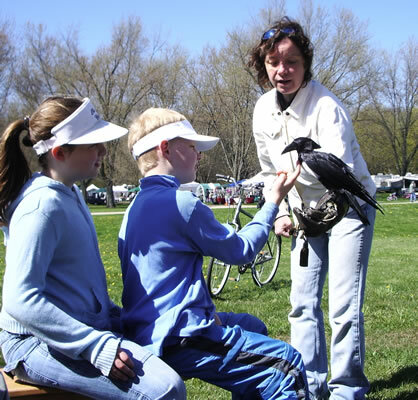 Travelers will learn more about birds and nature while participating in their favorite pastime. Plus, they will promote the preservation of the environment by bringing their tourist dollars into an area showing that conservation is good economics. There are many organizations and Internet sites that offer information on bird tourism. For more information contact: American Birding Association: www.americanbirding.org or (800) 850-2473; Field Guides: www.fieldguides.com or (800) 728-4953; The Nature Conservancy: www.tnc.org; Neotropical Journeys: www.njourneys.com or (877) 384-2589 or www.birding.com.